We all know that familiar feeling. You wake up and you have a massive spot brewing under your skin. No foundation or concealer can hide it and it hurts! This has happened to me more times than I can remember and as a result I now have a plan that I follow to try and get rid of it ASAP. 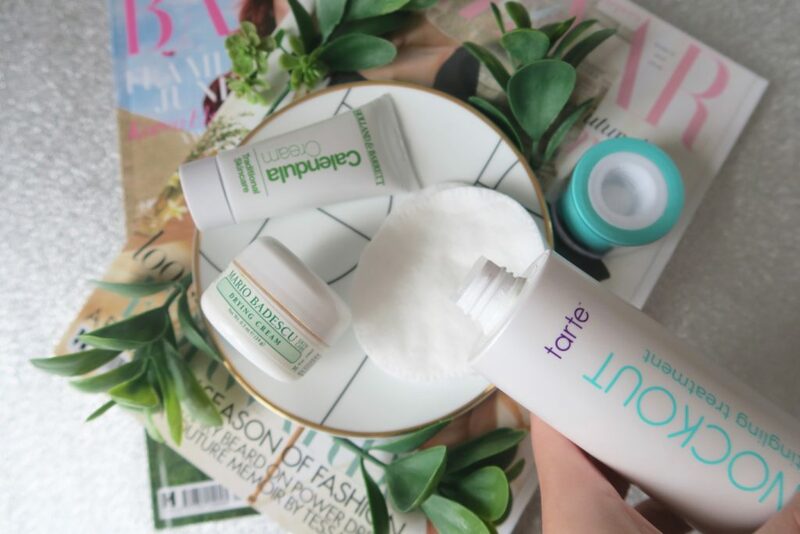 Read on to find out how to get rid of a spot fast using 3 products that I swear by. 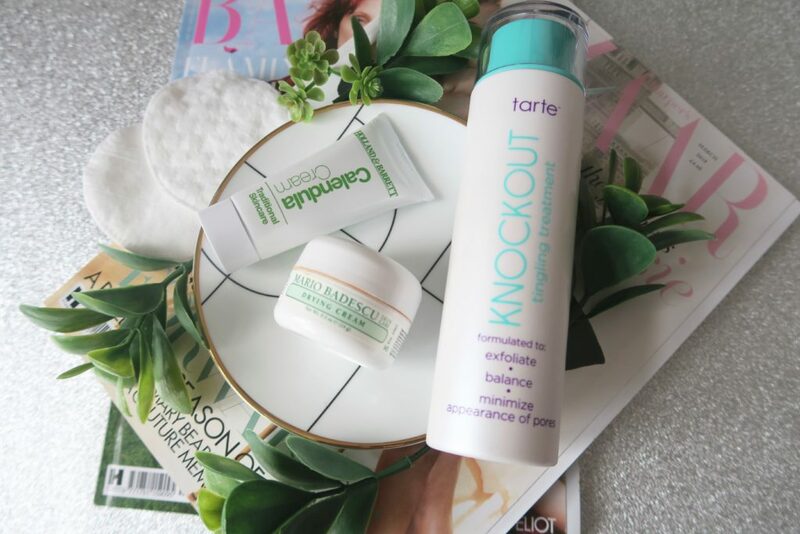 The first thing I will do is grab a cotton pad and soak it with my Tarte knockout tingling treatment. This treatment is a skin-tingling toner that helps to resurface the skin. It minimises pores and importantly controls oil as it contains salicylic and lactic acids. I sweep this over the problem area and leave it to dry. The next step is to grab my drying cream by Mario Badescu. This cream is potent but it really works. It is designed to shrink pimples and acne clusters. 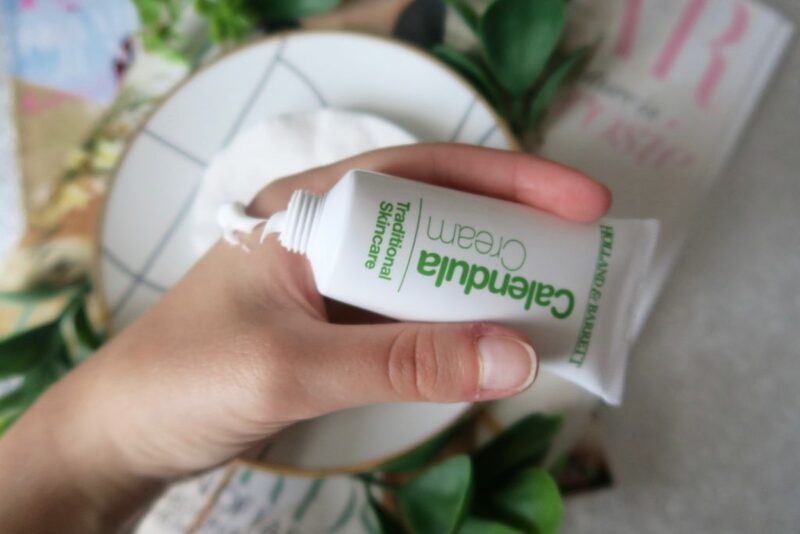 Formulated with sulfur (probably where the smell comes from..) and zinc oxide to help sort out pesky spots and draw out impurities. I will usually place this over the spot and then go to sleep. In the morning I will wake up and do a usual cleanse. Removing any leftovers from the drying cream. More often than not my spot will be significantly reduced in size, less painful and less red. Sometimes I will notice that the area is a little bit dry though. This is where the calendula cream comes into play. I think I bought this for £3 from Holland and Barrett. 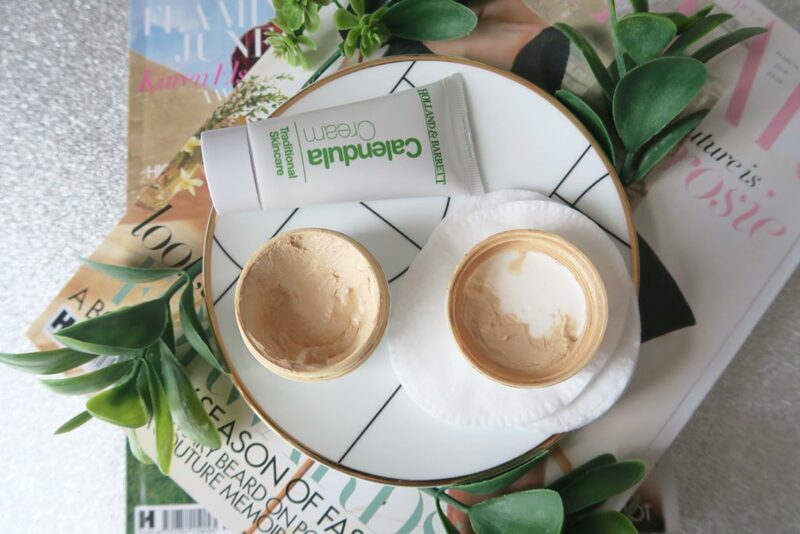 The cream is super soothing as it contains anti-inflammatory compounds like glycosides. A small dab of this cream on the area means my skin is left smooth and ready for makeup application. And that’s it! I usually repeat this process for a couple of days at most and the spot is basically a goner! Do you have a specific routine you follow for blasting spots?